Being a procrastinator means I’m doing things last minute. That’s why I like simple. Plus it helps that I work well under pressure. 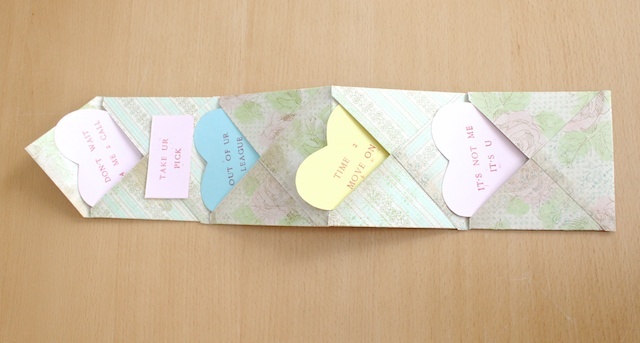 So I made these accordion envelope for Valentine’s cards I made for Nathan. 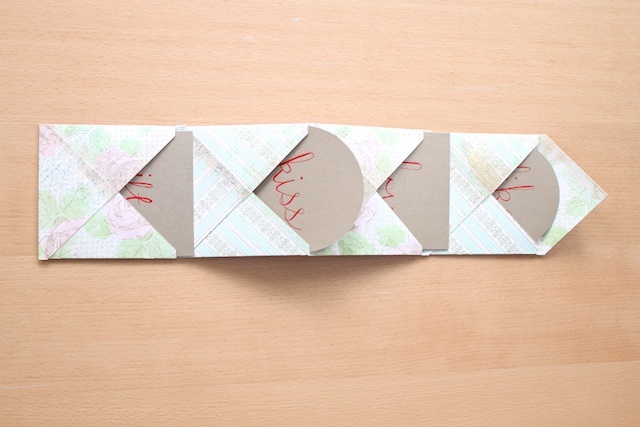 There are four envelopes all attached so they can fold up like an accordion. The cards, well, I cut cardstock and quickly calligraphied them. 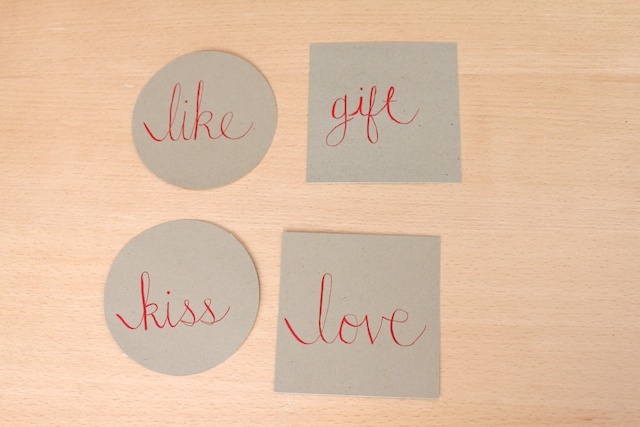 The first three cards – like, love and kiss – have something lovey-dovey on the back of them. Then the last card, gift, has a gift card attached to the back of it. 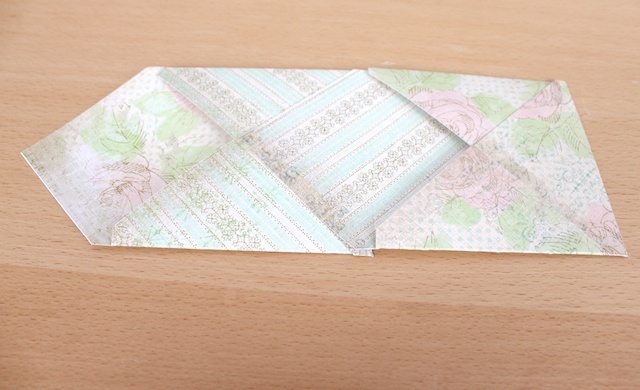 This envelope will literally take you minutes to make. 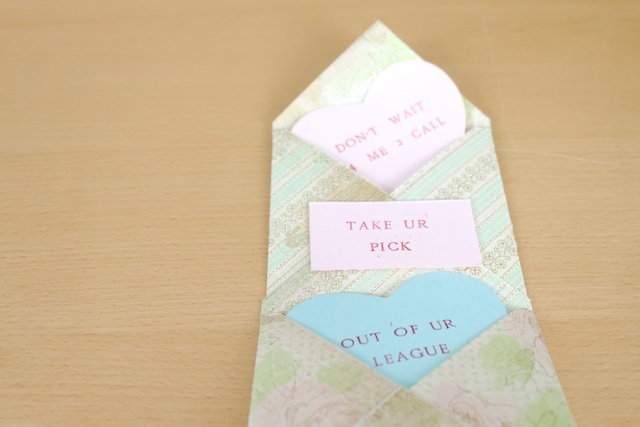 It’s an envelope that you can use for any occasion, not just Valentine’s Day. And remember, if you make anything inspired by Simply Modern Mom, please upload pictures of it to the Flickr group to show it off to everyone. I even made one for those bitter Valentine’s cards from yesterday. 1. 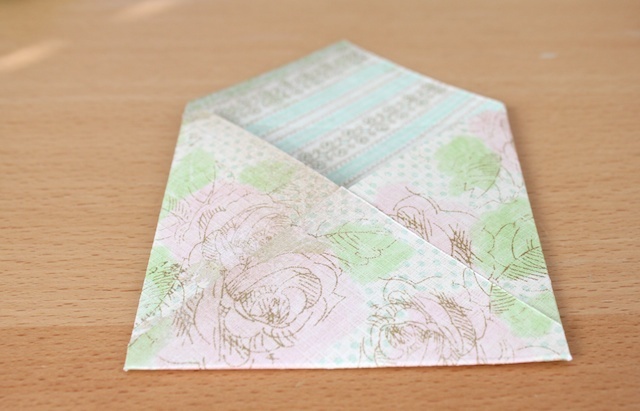 Download and print the 4 x 4-inch envelope pattern. 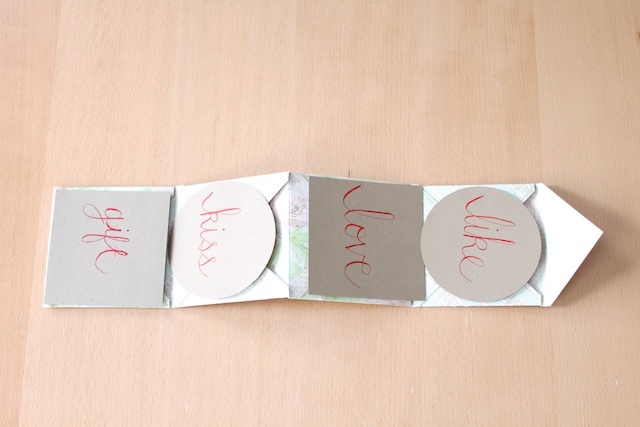 Copy the template onto the four sheets of cardstock. Cut and fold as directed in the pattern. 2. 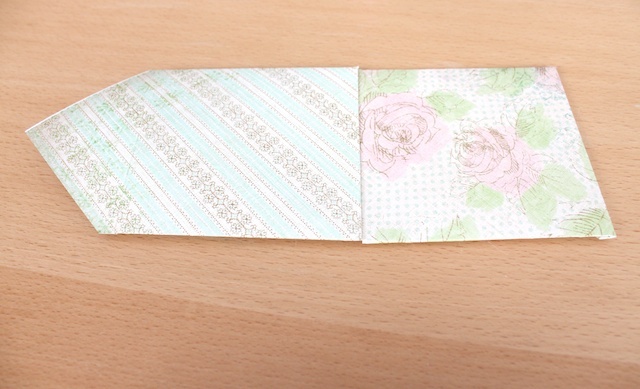 Fold down two of the flaps that are opposite ends of each other. Put a little glue at the tip of the top flap to glue it to the bottom flap. 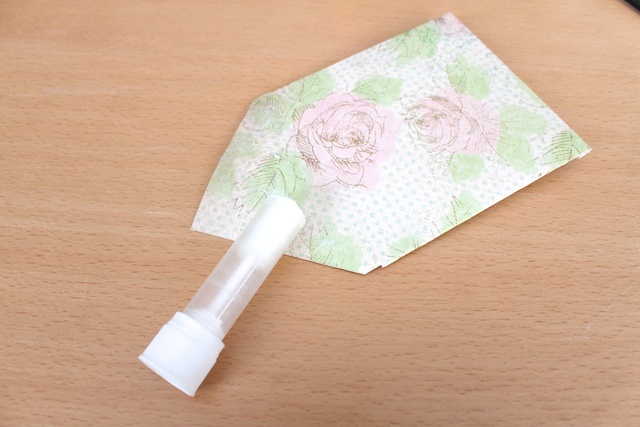 Then apply glue to the edges of one of the other open flaps and glue it to the two folded flaps. Do the same to all four envelopes. 3. 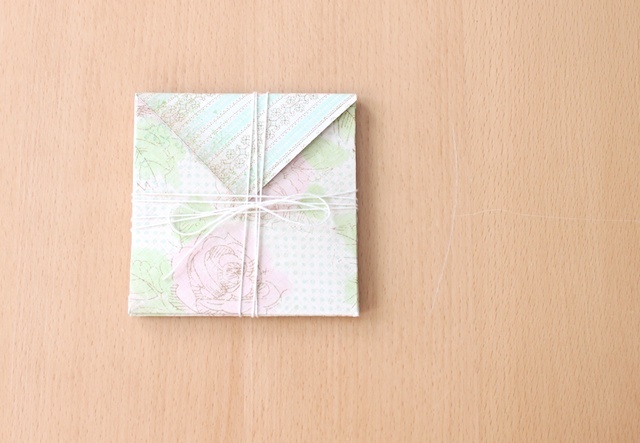 Once you have all four envelopes made, apply glue to the back of each open flap to only three envelopes. 4. 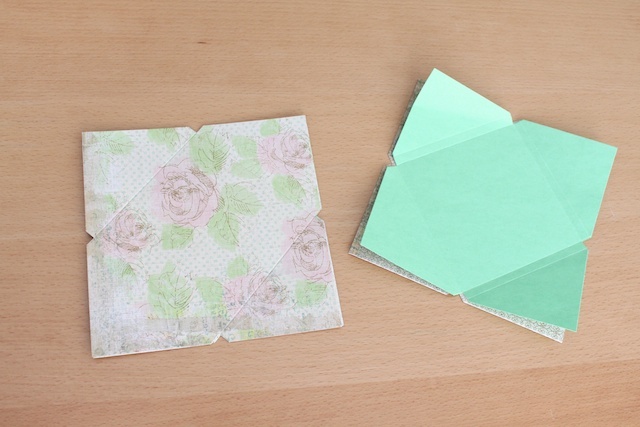 Glue the open flap to the bottom flap of another envelope. 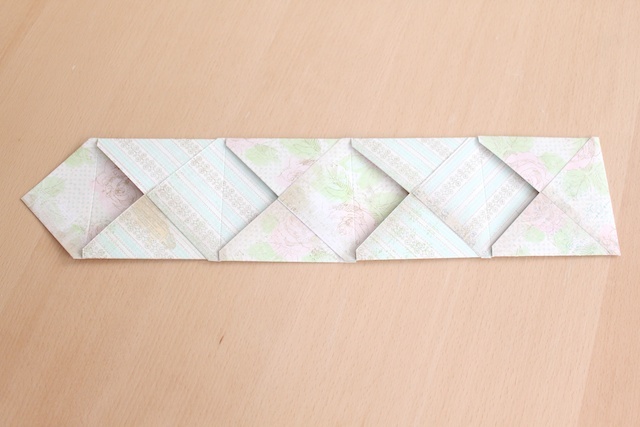 Do the same to the other envelopes until all four envelopes are connected. 5. 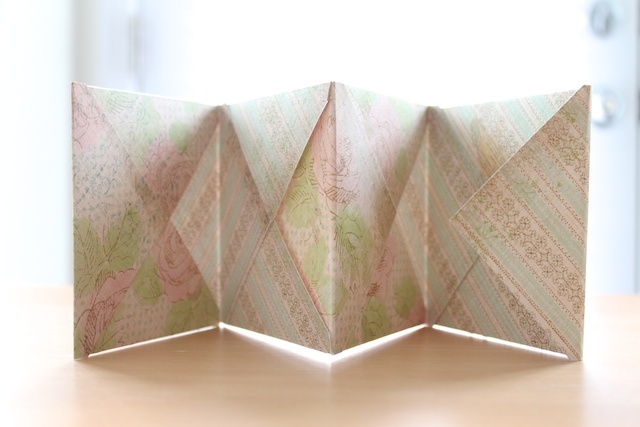 Fold it like an accordion with the top open flap going over all the envelopes to close it. And done! » Tell me… Any idea as to what else you can use this envelope for? Party invites? Thanks you cards? This is so simple, but totally awesome. Thanks for sharing. I think this would be fun to send a note to my nieces and nephew. Those are adorable, Thanks for sharing!! I am totally in love with your blog, I check it all the time! I love how clean cut and to the point the page looks. My friends and I have started a group blog and just working out how we want things set up. I really like yours. 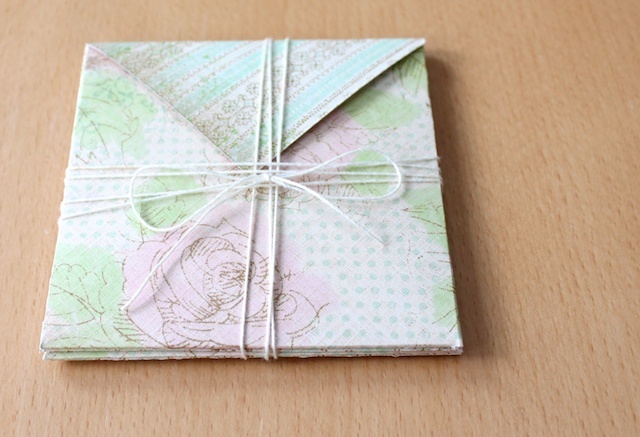 This would make a super cute mini-scrapbook! Completely going to use this idea to make graduation cards. Thanks! Perfect Mother’s Day craft for my 2, 3 and 4 year old Sun. school class. In first envelope a pic of an eye, a heart in the 2nd, and fancy “U” in the 3rd and “Mommy” – printed in assorted fonts so child can pick – in the 4th. Kids can color on the cards and pick out whatever four envelopes they want. Tie it with a ribbon and we’re good to go!